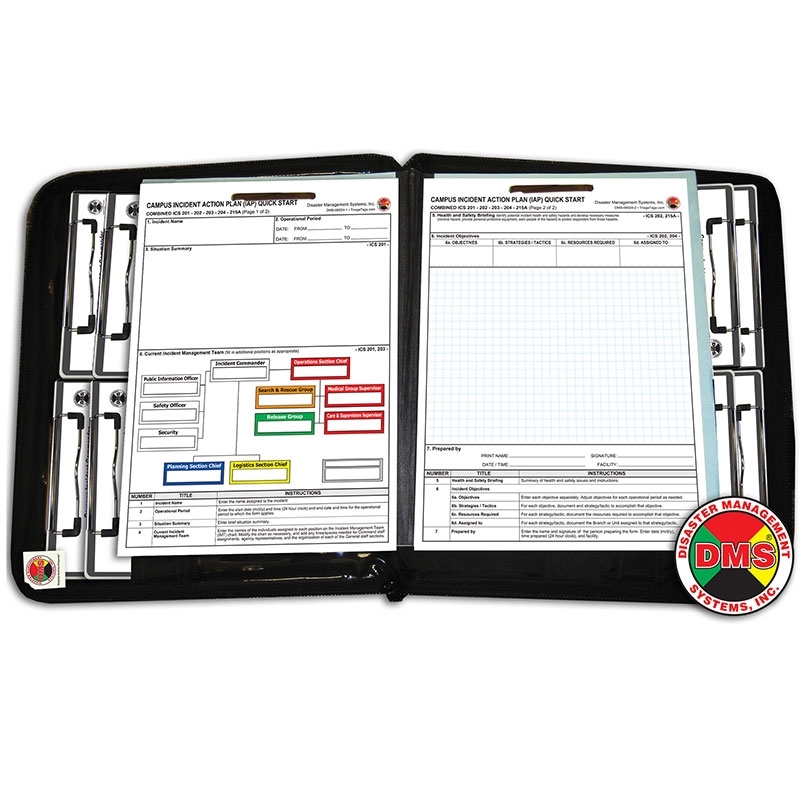 Emergency preparedness simplified with this 9-position kit. 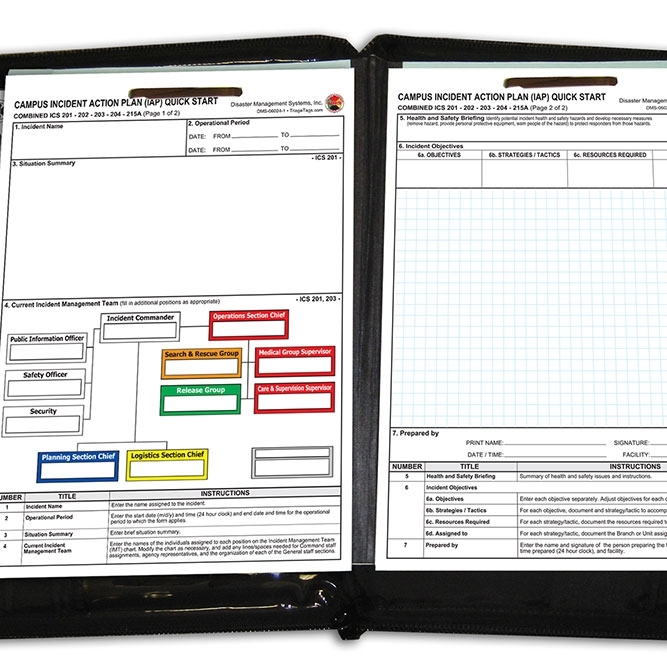 Establishing command quickly is critical for effective emergency response. 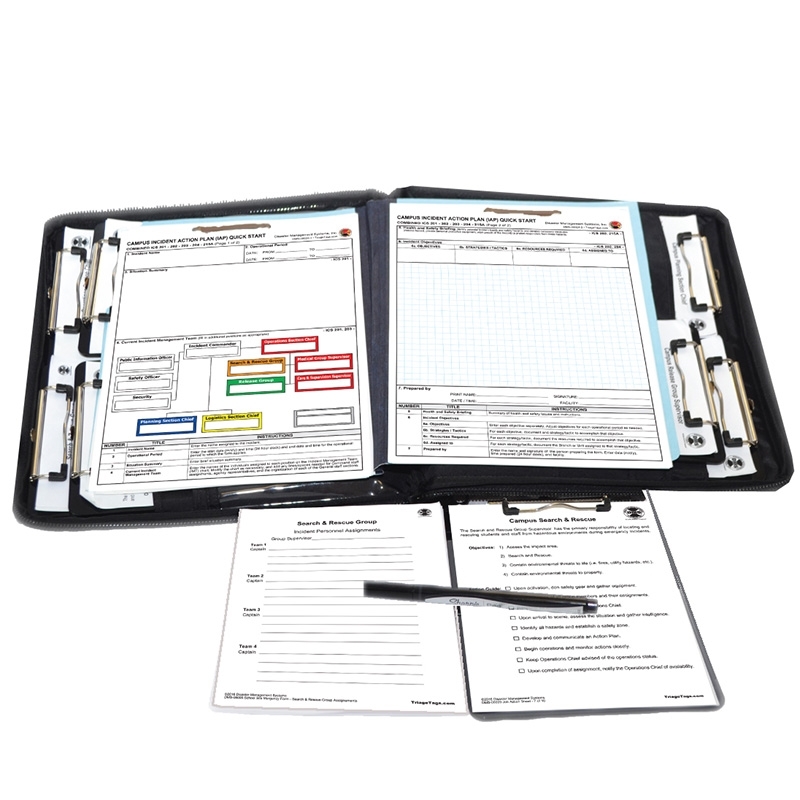 This Campus Mobile Incident Action Plan Kit empowers Incident Commanders with the toolset necessary to lead effectively. 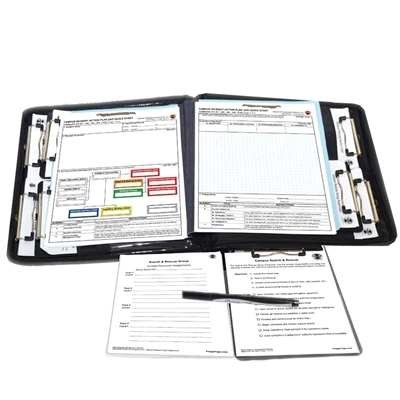 Lightweight, rugged and portable, this command kit is a must-have for any educational institution.